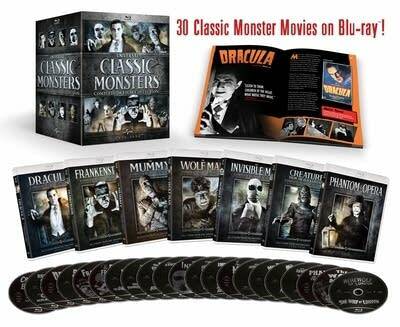 ▼ Giveaway: Enter for a chance to win Universal Classic Monsters! Dracula! The Mummy! The Wolf Man! Frankenstein's monster and bride! The Creature from the Black Lagoon! The Phantom of the Opera! The Invisible Man! When you think of iconic movie monsters of yore, those are the ones who lurk in the dark corners of your mind. And they all crept from the attic of Universal Studios, the premier producer of fright flicks back in the day. Now, Universal has collected all of those creatures in a massive boxed set that includes all of their cinematic output from 1931-56  31 films in all, plus loads of extras  on high-def Blu-ray. Called Universal Classic Monsters, the set also offers a trove of film scores for music lovers to explore as part of the viewing experience. And who better to talk about those scores than the people behind Monstrous Movie Music? Producer David Schecter and composer/orchestrator Kathleen Mayne's essential series of recordings include a reconstruction of the music for Creature From the Black Lagoon. Besides that 1954 film, the Universal set also includes (in order by release) Dracula (1931), Frankenstein (1931), The Mummy (1932), The Invisible Man (1933), The Bride of Frankenstein (1935), Werewolf of London (1935), Dracula's Daughter (1936), Son of Frankenstein (1939), The Invisible Man Returns (1940), The Invisible Woman (1940), The Mummy's Hand (1940), The Wolf Man (1941), The Ghost of Frankenstein (1942), The Mummy's Ghost (1942), The Mummy's Tomb (1942), Invisible Agent (1942), Phantom of the Opera (1943), Frankenstein Meets the Wolf Man (1943), Son of Dracula (1943), House of Frankenstein (1944), The Mummy's Curse (1944), The Invisible Man's Revenge (1944), House of Dracula (1945), She-Wolf of London (1946), Abbott and Costello Meet Frankenstein (1948), Abbott and Costello Meet the Invisible Man (1951), Abbott and Costello Meet the Mummy (1955), Revenge of the Creature (1955) and The Creature Walks Among Us (1956). In addition to the movies, the discs contain oodles of bonus material, including retrospective documentaries, expert commentary and a book. Mayne even composed the music heard in two of the set's documentaries, Abbott and Costello Meet the Monsters and The Opera Ghost: A Phantom Unmasked. Although the early films in the set were sparsely scored, as was typical in the early '30s, "music served an incredibly important role in making the movies scarier and more involving than the visual images alone could conjure," Mayne says. Dracula, as the earliest production in the collection, features little music, but what is heard will sound familiar to classical listeners  Schubert's Unfinished Symphony, Wagner's Die Meistersinger von Nürnberg and, for the main title, Tchaikovsky's Swan Lake. "When I first saw the movie as a kid, it seemed to fit in a strange way," Schecter says about hearing the unlikely Tchaikovsky selection in a horror film. "But after I became knowledgeable about classical music, listening to it always sounded 'wrong' in a way." Universal also used Swan Lake as the main title in The Mummy and Murders in the Rue Morgue. It was a cost-cutting move, partly thanks to the familiar orchestral works being out of copyright, that didn't always work effectively, Schecter says. "When you have the same main-title piece in three different horror movies, that tends to take away some of the originality," he explains. "When Universal made the Creature trilogy, they adapted the first main title in Revenge …, and then further adapted Revenge … for … Walks Among Us, thereby keeping things similar, while also letting us know we were not going to be watching the same old thing, as the music was not a strict duplicate of what came before." The Dracula disc includes a fascinating extra: Drácula, a Spanish version filmed at the same time and on the same sets as the English original, but at night with a different cast and crew. (Although the labeling for Universal Classic Monsters calls it a "30-film collection," this actually marks the 31st film in the set.) The disc also includes the option of watching the original movie, starring the incomparable Bela Lugosi, with a score composed in 1998 by Philip Glass and performed by the Kronos Quartet. While classical music lovers might relish that choice, don't count Schecter as a fan. "To me, he's Bernard Herrmann without the dramatic sense and ingenuity," he says of Glass. "I know some people love him, but the music in Dracula just seems to be filling space to me, not contributing anything to the drama. I find the 'silent' version compelling without the music. Silence seems to fit that empty castle and accentuates the remoteness of the location. However, since he composed the score, I see nothing wrong with having it as a bonus. So long as you maintain the sanctity of the original, if somebody wants to colorize something, change the music, or do other changes, those are fine as bonuses, but should never replace the originals." But there remains much music to enjoy as viewers relive the movies in the Universal Classic Monsters set. Mayne counts as a highlight "hearing the shimmering music" of composer Henry Mancini's underwater scene in Creature From the Black Lagoon while Julie Adams is swimming with the Gill-man below her. It's music that Mayne knows well; her meticulously reconstructed scores were used not only for the Monstrous Movie Music re-recording but in concert performances that have included the Hollywood Bowl Orchestra, conducted by John Mauceri. 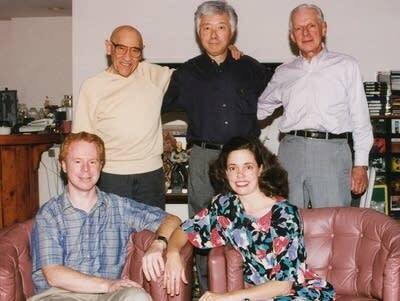 "I had to learn the composers' shorthand, comprehend their hand writing and music notation, which at times was the single hardest thing," she says. "In our case with Monstrous Movie Music, we chose to re-create the score as close to the original film score as possible, including our recording it in the same fashion with close mics, and sometimes instruments would blare out over others. ... But that is how it sounded in the original score; thus I tried to imitate that unnatural balance." The Mummy: "A very good score, with some wonderful original cues by James Dietrich and some Heinz Roemheld pieces originally written for The White Hell of Pitz Palu. There's not as much music as in subsequent Mummy movies, but the choices for where music was to be used was supposedly something that director Karl Freund worked on with Dietrich. 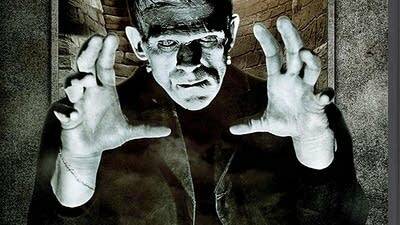 It was the first Universal movie that had substantial original music in it, as Frankenstein only had an original main title." The Werewolf of London: "I love Karl Hajos' score  extremely evocative. Again, it was combined with some Roemheld pieces from The Invisible Man and The Black Cat. But the original Werewolf cues fit so perfectly with the spooky flavor of that picture." The Bride of Frankenstein: "Franz Waxman's score is, of course, not just a classic horror score, but a classic motion picture score, and along with King Kong and a few others, showed the importance of what an all-original score that covered the bulk of the picture could do to elevate a movie to entirely new creative and dramatic levels." Abbott and Costello Meet Frankenstein: "Frank Skinner's music is one of my all-time favorite motion picture scores. All the monsters had their own original themes, and the music was different from all the previous Frankenstein/Wolf Man/Dracula movies, even though all three monsters appear in the 1948 comedy. Like the performances of the monsters, the music mostly plays it straight, and that adds to the 'danger' of the situations, even though you know it's a comedy and nothing bad is going to happen. Had Skinner added more comedy to the musical proceedings, it wouldn't be the classic movie that it is." The Creature Walks Among Us: "Mancini had one of his early chances to shine here. Although Irving Gertz, Roemheld, and Hans Salter had their moments, Mancini wrote about 30 minutes of absolutely brilliant score, much of it for underwater sequences where, without dialogue, the music was front and center. And he wasn't forced to regurgitate Herman Stein's three-note Creature theme that so dominated the first two films in the Gill-Man trilogy  what I call The Gillogy." Schecter adds: "I'm a huge fan of the 1950s Universal scores, as the studio had an absolutely brilliant staff that was enhanced by some fabulous freelance composers. When you combine Frank Skinner and Hans Salter with Henry Mancini, Herman Stein, Irving Gertz, William Lava, Heinz Roemheld, Milton Rosen, and a few others, that's why so many of their classic '50s soundtracks stand out. And by using multiple composers in many of their pictures, the thematic diversity in some of these scores is amazing." • The opening and closing cues in The Invisible Man during the snow scenes. • The flashback scene in The Mummy. • Salter's Egyptian music for some of the later Mummy movies. • The "endless creativity" running through House of Frankenstein. Mayne sums up the overwhelming musical response to these monster movies. "The composers of the golden years at Universal were the cream of the crop, even though they sometimes worked on what was perceived to be second-rate monster flicks," she says. "They poured their hearts and souls into those shows. They had a respect for the craft of film composing, and actually a great respect for the work they created. They cut no corners in their work. I admire their work ethic, and it has been a source of inspiration to me in how I conduct my work." Enter for a chance to win Universal Classic Monsters on Blu-ray. The winner will be drawn at random. Be sure to enter by 11:59 p.m. central on Wednesday, Oct. 31, 2018. And don't forget to sign up for the Daily Download newsletter when you enter so you never miss a free MP3 of a handpicked classical work each weekday.